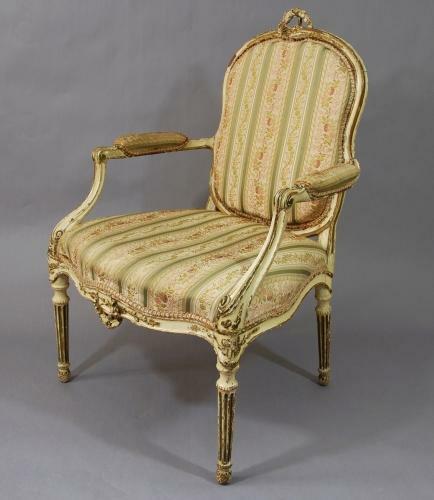 This chair consists of a top rail decorated with a carved foliage wreath with a serpentine front rail. This leads down to the turned and fluted legs terminating with a pineapple foot. The chair was purchased from a private collector and had already seen some restoration, we have not needed to do any further work. Due to extensive upholstery over the years and due to the age of the chair the seat rails have had beech applied to the top of existing rails to protect them from any further damage. Also, corner blocks have been added to stenghen the rails. This is a very desirable piece and is in very good and stable construction considering the age.